Rivers, streams and waters are where we go to escape and savor our surroundings. Bringing premium culinary services together with guided fly fishing experiences is my strength and passion. My approach to cooking is absolute: utilize local, seasonal ingredients of the highest quality whenever possible, together with traditional and innovative methods of preparation and cooking, from the most primitive methods on the riverbank, to highly organized professional kitchens. Your standard guided fishing trip entails fishing the day with a guide and usually, only a standard lunch is provided (sandwich, chips, maybe fruit) So, I decided to combine my two passions, cooking and fly fishing to create new/unique experiences. fishing and hopefully have much of the river to ourselves. Mid day, a shore lunch will be set up. Some Sashimi/Cucumber Salad/Soba Noodles/Sake/Asian Sliders as an example. Finishing out the days fishing at our leisure, no need to rush back for a dinner reservation, as I will be cooking and serving you a 3 course meal that evening with wine paired. I have built several packages around this including 1,2 and 3 days events, some with "glamping" opportunities as well as procuring high-end home rentals to set up as "base camp" for expanding our fishing territories during multi-day events. Hosting and concierge included. "We have know Scott and been privy to his cooking and guiding for the last 10 years. Stellar food, stellar guide, stellar experience." "Scott Nechay is the real deal. He is not only the best guide I have ever worked with he is friendly, funny, informative and respectful. Scotts chef training doesn’t hurt when lunch is on the horizon. A real pro." "I have attended many of Scott's private dinners over the years.. His attention to detail, quality of food served and thoughtfulness to create a menu to suite our needs, has always exceeded my expectations. 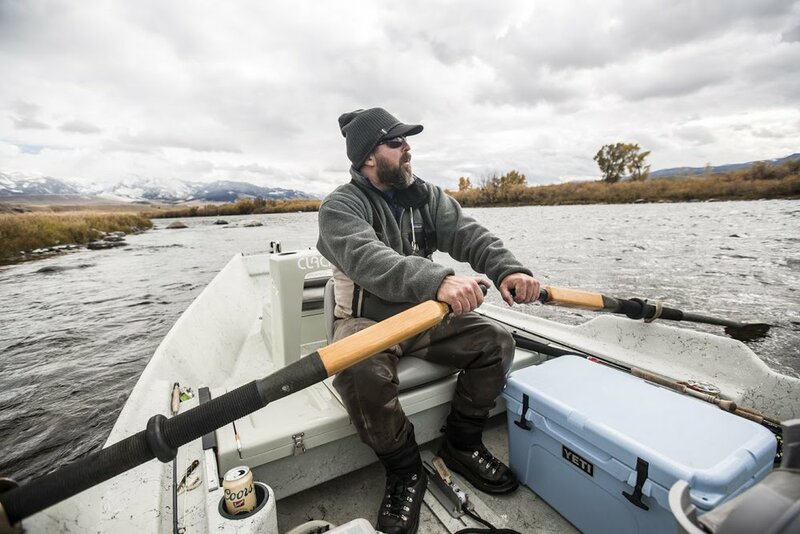 Scott has also guided me throughout Wyoming, both walk wade and in the boat...his teaching methods, patience and knowledge of his trades keeps me coming back. Can't wait to do it again!!" "I have hired Scott on several occasions over the last 3 years, both for Private dinners and for his unique chef/fishing experience. His passion for both fly fishing and cooking absolutely translate into what is always an amazing and memorable experience!" As a Private Chef, I create restaurant experiences in the comfort of your own home. Primarily focused on smaller food events, my services extend to larger functions as well. My approach to cuisine focuses on utilizing local products whenever possible or available. Procuring products of the highest quality, weather in be from the local market to some of the finest food sources around the country. From there, I create a menu tailored to suite your palate. I implement my training I received over many years, add my interpretation create a style of cuisine of my own, which is reflective of the area where I happen to be cooking.